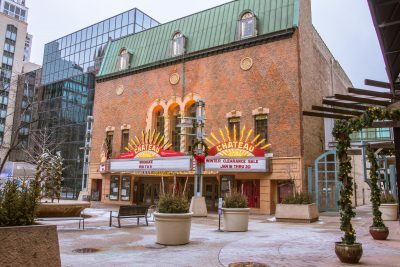 Five proposals have been received by the City of Rochester in response to the Request for Proposals (RFP) for the initial operations and management of the historic Chateau Theatre. The submissions included: Entourage Events Group, Exhibits Development Group, Arcades are Awesome!, Threshold Arts LLC, and Arts Trust Minnesota. Of the five proposals, three are from local entities and two are from Twin Cities organizations. City of Rochester and Destination Medical Center Economic Development Agency (DMC EDA) staff are currently reviewing the submissions and will be bringing forward a review process in the coming weeks. Community engagement will be a part of the selection process. The Destination Medical Center Corporation Board of Directors and the Rochester City Council approved $1.1 million in DMC funding for the renovation. All initial renovation work to the building is anticipated to be completed by mid-June 2019. At the close of 2018, Rochester, Minnesota was awarded the state’s first LEED Gold City designation by the U.S. Green Building Council (USGBC), in recognition of the City’s effort to achieve significant municipal sustainability and resiliency goals. Kevin Bright, energy and sustainability director for the Destination Medical Center Economic Development Agency (DMC EDA) and City of Rochester is excited for the next chapter, which includes a new voluntary energy benchmarking program for Rochester businesses. The Rochester Energy Benchmarking Program provides a platform for Rochester business and building owners to track their energy use and identify ways to save money on utility bills. 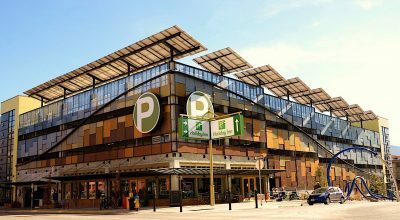 “The creation of the benchmarking program is an important first step to help businesses identify ways to reduce their operating costs by saving energy,” says Bright. On April 24, 2019, the Benchmarking program will host a training session for interested organizations at Rochester City Hall in Room 104 from 8:00 a.m. – 12:00 p.m. This session will help organizations create and efficiently complete a benchmarking profile which is the core of participation in the program. Another educational resource for Rochester businesses and the public is the DMC EDA’s monthly sustainability series, now in its second year. 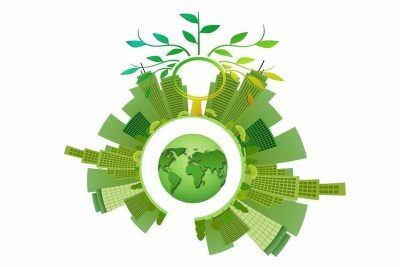 The series, in partnership with the USGBC, is held the second Wednesday of each month at the Rochester Public Library from 12:00 – 1:00 p.m. and is free to attend. The Southeastern Minnesota Building & Construction Trades Council is comprised of 16 local skilled trades unions. The Council is dedicated to educating and training workers in the skilled trades that can provide stability of employment and economic security for organized construction workers in the Southeast Minnesota area. 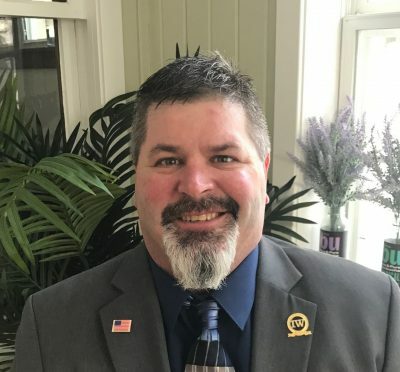 Nate O’Reilly, President of the Southeastern Minnesota Building & Construction Trades Council, has been involved in the construction industry for more than 20 years in various roles and recently shared more about his career and the Council’s priorities. DMC: What path brought you to your current position with the Southeastern Minnesota Building & Construction Trades Council? O’Reilly: After High School and joining and serving in the Army Reserve, I began working in construction, and after a few years, I was exposed to and joined the Ironworkers. I worked several years as an Ironworker in many roles, from starting out as worker and welder in a crew to foreman, general foreman, and other leadership and project management roles. I became active with the Ironworkers Union and was appointed and then elected as Business Representative in 2014. I have served as Ironworker delegate to the Building Trades Council, elected by trade affiliates as V.P. of the Council in 2017, and elected as President in 2018. DMC: What are some of the top priorities for the organization in the coming year? Continue working with stakeholders to expand opportunities for workers in the construction industry in Southeast Minnesota. Provide the education and training for the next generation of skilled craftspeople to meet the high and increasing demand in the construction market. Advocate for and support conditions and policies that ensure a level playing field for businesses and contractors that result in maximizing economic benefits to Southeast Minnesota and our state, including: prevailing wage, local hire, and female & minority inclusion. O’Reilly: Rochester and Southeast Minnesota have one of the best pools of potential workers possessing the drive and work ethic found anywhere. 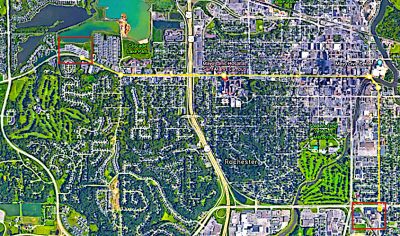 The DMC initiative undertaken by the City of Rochester, Olmsted County, State of Minnesota, and Mayo Clinic is the largest public-private partnership in the state’s history and could serve as the model to be used throughout Minnesota and the rest of the nation. O’Reilly: Positioning Rochester as the premier place in the world for health and wellness has ripple effects in all sectors of the economy throughout our region and will ensure economic prosperity and stability for generations to come. O’Reilly: Throughout my career, I have had the opportunity to work and spend significant time in 44 different states. I am proud to have been to those places and some have great things to offer, but none, in my humble opinion, offer the entire package of the best place in America to work, live and raise a family as the Rochester, Minnesota area. And don’t let the cold winters scare you. We have fabulous changes of seasons and weather. 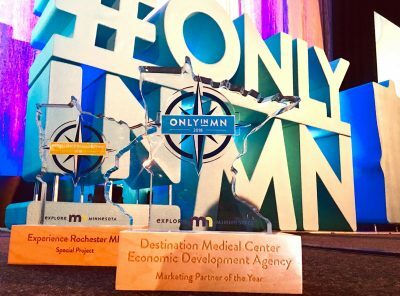 Destination Medical Center Economic Development Agency (DMC EDA) has been awarded the “Marketing Partner of the Year,” presented by Explore Minnesota, the state’s tourism promotion agency at its annual conference in Saint Paul on February 5. DMC EDA was nominated by Experience Rochester. 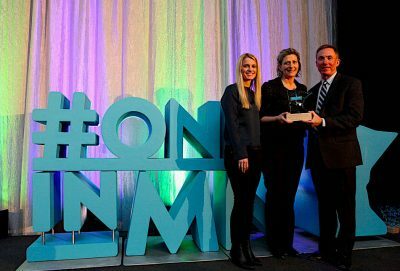 The “Marketing Partner of the Year” award recognizes outstanding marketing or special projects executed by an individual business which enhances the overall visibility of a community and directly impacts visitor travel to the area. The staff members of the Destination Medical Center Economic Development Agency (DMC EDA) work tirelessly to make Rochester, MN an exceptional place to work, live, and visit. Experience Rochester MN is nominating DMC EDA because of their dedication to always including Rochester’s 3.3 million annual visitors — many of whom are visiting Mayo Clinic — in their mission and vision for a vibrant, innovative community. A recognition of the importance of travel & tourism is integrated into everything the DMC EDA pursues. The award judges felt this partnership is like no other; it’s an example of economic development at its finest. An innovative concept in an innovative destination. Experience Rochester also received some hardware at the conference, winning the “Special Projects” award for its website, minnesotasrochester.com. The Destination Medical Center Economic Development Agency (DMC EDA) and the Minnesota State University, Mankato (MNSU) Center for Innovation & Entrepreneurship (CIE) are recent recipients of a $10,000 economic development grant through the Southern Minnesota Initiative Foundation (SMIF). These funds will be used to develop and implement a design thinking workshop in the Mankato area to spur innovation and entrepreneurial thinking. The CIE is housed within the MNSU College of Business. The organization aims to cultivate the next generation of entrepreneurs and innovative thinkers in south-central Minnesota by providing entrepreneurial education, supporting student startups, and facilitating impactful student project work in the community. 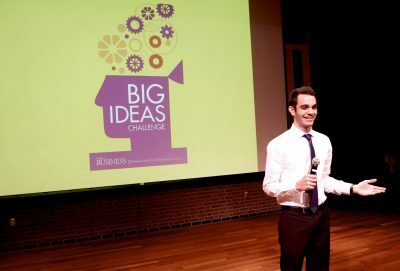 The overall goal of the workshop is to increase the number of innovative projects submitted to the Big Ideas Challenge, a venture competition for current and recent Minnesota State University, Mankato students and to the DMC Assistive Tech Challenge, a competition to develop new products and services for persons with disabilities. The inaugural Assistive Tech Challenge debuted in November 2018 as a partnership between Destination Medical Center Discovery Square, The ARC Minnesota SE Region, and the disABILITY Mayo Clinic Employee Resource Group. 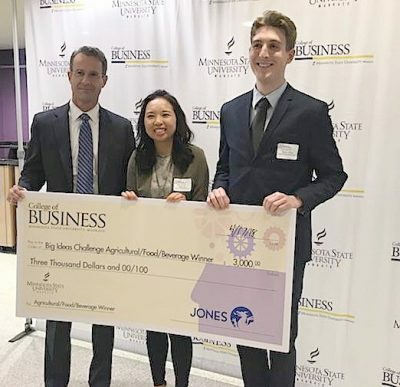 Three MNSU teams submitted applications to the Challenge; two of the submissions were accepted into the competition. 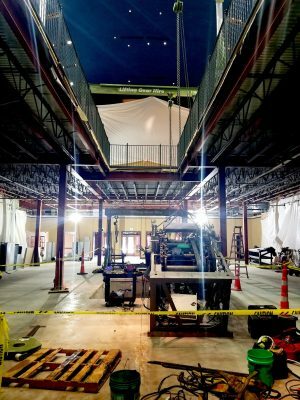 “The founding of the Center for Innovation & Entrepreneurship by the University College of Business was spurred by a variety of things, including a Southern Minnesota Initiative Foundation report about the potential of this area and need for coordination and the types of things the Center now provides,” explains CIE Director, Dr. Yvonne Cariveau. Cariveau says students come to the CIE interested in entrepreneurship but sometimes cannot identify the next immediate step in development of their concepts. She hopes this design workshop will give her students tools to generate ideas and to act. Cariveau and Schad both hope the workshops ultimately ignite interest in assistive tech and health care innovation, building strong connections between Rochester and Mankato’s entrepreneurs.